She'd wanted her father to pay more attention to her, and she'd wanted her family to be like it used to be. She hadn't wanted everything to change so drastically that she may not even survive it. As Liza proves herself a basketball star, everyone—from college basketball recruiters to the gorgeous Kyle Reynolds—seems to take note of her. Everyone, that is, except her own father. While her father is busy at his law practice, Liza learns about a strange new religion from Kyle. Could Kyle's religion help her family? Or is it already too late for her father to make amends? When yet another broken promise finally leads to tragedy, Liza doesn't know if she will ever be able to forgive her father. It will take a good friend, a new belief, and a miracle straight from heaven to help Liza see that she still has a choice. Heaven Scent (isn’t that a gorgeous cover?) is Rebecca Cornish Talley’s debut novel. Written for LDS teens, this book will be particularly enjoyed by young women, ages 12 to 16. Rebecca stopped by for a visit. Many of my readers are published authors or are in the process of writing a book for the first time. They are always interested in the writing process. Where did you get the idea for writing Heaven Scent? How long did it take you to finish it? My mother wore a distinctive fragrance. It was a perfume that was designed to work with each indiviudal’s body chemistry to produce a unique scent. My mother passed away when I was a young girl and every so often, I would catch a whiff of her perfume. During trials in my life, I could always smell her perfume and knew that she was near. Sometimes, it seemed like she was close enough that I could reach out and touch her. I based Heaven Scent on this experience. 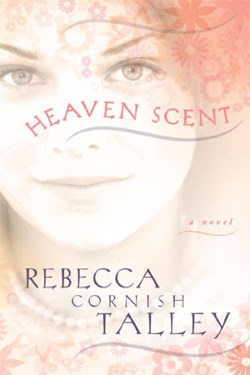 I worked on Heaven Scent on and off for years between pregnancies, nursing newborns, toddlers, teens, and caring for my ailing grandparents (who raised me after my mom’s passing). At times, I wondered if I’d ever finish it. 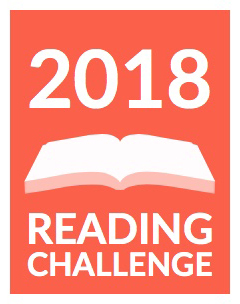 How many publishers did you have to try before your were accepted? I submitted it in an early stage and it was rejected. I spent more time learning the craft and rewriting. I submitted it to Cedar Fort and other publishers and it was accepted by Cedar Fort. I’ve always loved to write. When I was in sixth grade I started a book similar to the “Encyclopedia Brown” books. In high school, I fell in love with writing all over again during a creative writing class. I’ve always dreamed of having a novel published. What tips do you have for first time authors? First time authors need to realize that promotion is a huge part of the writing process. First time authors have to work hard to promote their books and establish name-recognition. A web presence is also very important. Fragrance plays a significant role in Liza’s healing process. Have you had a similar experience? Yes. Once when my newborn was in the NICU, I could smell my mother’s perfume so strongly that I knew she was there watching over my new baby. You created a fragrance called Hope to go with your book. Tell me about what that fragrance means to you. I would like people who wear the fragrance to feel that no matter what life brings, there is always hope. Hope is the message of Heaven Scent. To me, this fragrance means that those we’ve loved and lost are never far from us. Are you working on a new book? Tell us about it. I’m working on an LDS romance that I’d like to think of as a fun way to escape for a bit from the dishes, diapers, growing mound of laundry, or stresses of daily life. It’s been a lot of fun to write. Thanks for stopping by the blog, Rebecca. Thank you so much, Karlene, for hosting my book on your blog. 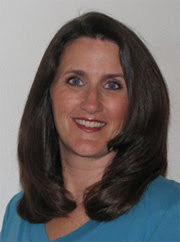 Rebecca Talley writes in several genres—romance, womens issues, young adult, and even picture books. She and her husband are the parents of 10 wildly-creative, multi-talented children. When not writing, she likes to date her husband, play with her kids, swim in the ocean, make jewelry, and dance to disco music while she cleans the house. That’s a cool book title and very pretty cover. I agree–very cool cover. I’ve heard a lot about the fragrance. It’d be cool to smell it. Thank you, Karlene, for hosting my blog tour today. I appreciate it. I loved reading about the insipration for this book! Thank you for the giveaway! I’m in awe of all you do (having read your post at ANWA Founder and perused through your own blog today) and I have to tell you, it has been worth all your work because the idea for this book is so compelling ~ I’m anxious to read it and share it with my teenage granddaughter and my married daughters as well ~ and the title and cover are simply charming. Not to mention, I would also love to be a winner – my mother always wore the same scent and it still reminds me of her. What you say is so true. Both of my parents and my 16-year old son have passed on but there are so many times that I sense them nearby. Tender mercies, to me. Best wishes for much success with this new (and first) novel!! I didn’t know the perfume thing was based on a real experience! I always thought it was cool how Liza could smell it, but didn’t know Rebecca could, too. That makes it even more special. And yes, please put me in the drawing! I’ve been hearing a lot about this book lately. Sounds interesting. I enjoyed the book too when I read it as part of the blog tour. That perfume sounds like it smells wonderful. Darn, I think I caught this one too late! Can’t wait for a quiet moment to read it! I enjoyed reading this review and the interview as well, very interesting! I’m sure I’ll be picking up this book very soon!